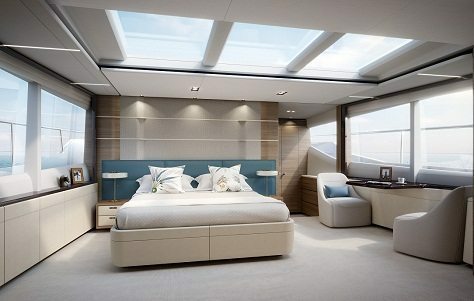 Princess has just released a brand new set of images for the stunning Princess 30M. The new images showcase the elegant yet contemporary lines that epitomise the M Class. Sweeping window lines and shaped bulwarks enhance the level of light and space across the main deck with the full beam master stateroom benefiting from uninterrupted vistas of the most breathtaking surroundings. 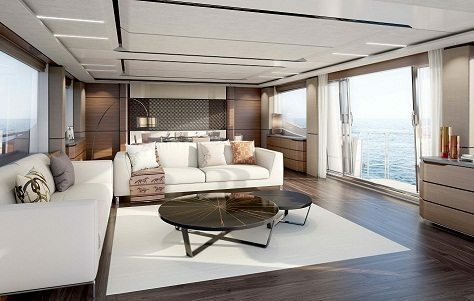 The Princess Design Studio has created a sophisticated and contemporary interior concept across the main deck master with a unique reverse cabin layout – a rarity on a 30 metre yacht and the first for the M Class range. An integrated breakfast area is neatly positioned beneath the window with hand-crafted leather panelled cabinetry opposite. The stateroom is bathed in natural light which pours in from the wide sweeping windows and expansive skylight. 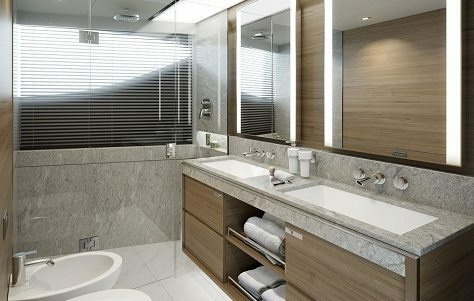 A generous en suite complements the master with a walk-in shower, twin sinks and granite or marble finish. We think the latest shots do justice to this, one of Princess’ most impressive yachts. 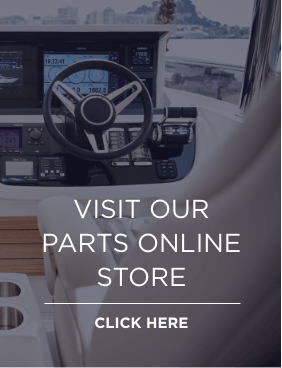 To see the full M Class range, see the new yachts section on our website.